“Eating” leads to all lives. Simple and commonplace. That is why we take this seriously. Soy sauce making first begins with selecting raw materials; soybeans, wheat, and salt. 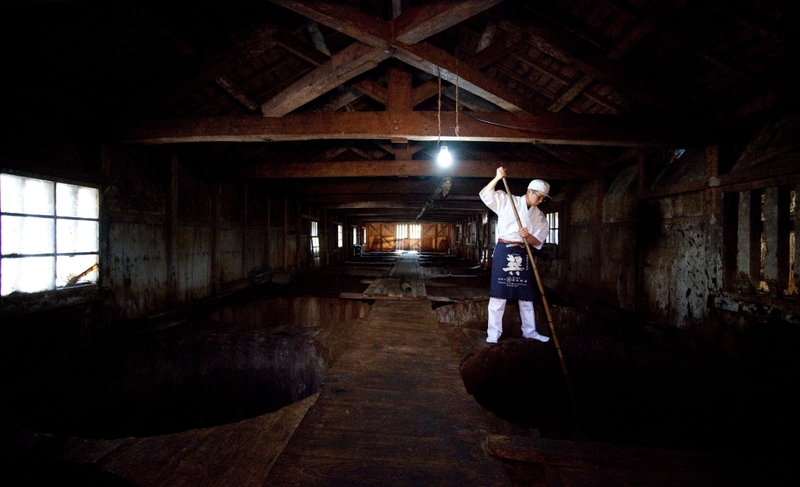 After processing the raw materials, koji making, and moromi management, it then becomes soy sauce. As of today, soy sauce warehouses which carry out all processes in soy sauce making from the purchase of raw materials to the production at its own company, has become less and less in Japan. Kajita Shoten is one of those very few soy sauce warehouses. We sell products that are 100% in-house brewed. We do not add any yeast or enzyme additives, we only brew with nature, naturally. Up to now, and from here on, together with the climate of Ozu, we will continue to aim for “more naturally tasting, more delicious” products, and will continue to produce body-friendly soy sauce and miso. In this era, even soy sauce is made in a vinyl chloride tank with a speed production span of six months, which is commonplace. 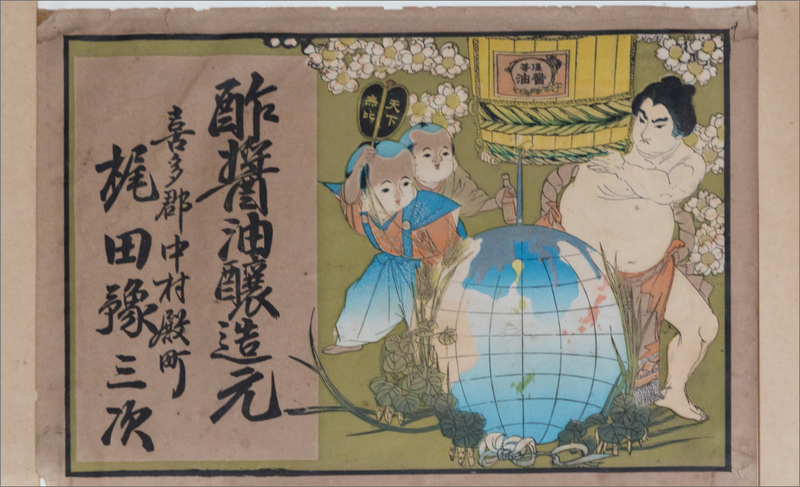 However, we still follow the natural rules of brewing and go through a long-term brewing process of a year and a half in the sugioke, which has been handed down for over 100 years, to produce Tatsumi soy sauce. 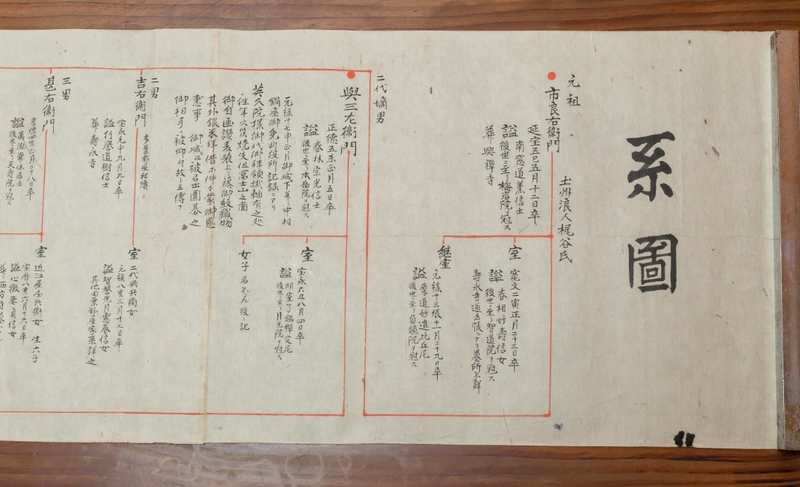 When tracing back to the origin of the KAJITA family, it started out from a paper shop house of the first generation, ichiryouemon KAJITANI, in the Enpo era, around 1677. 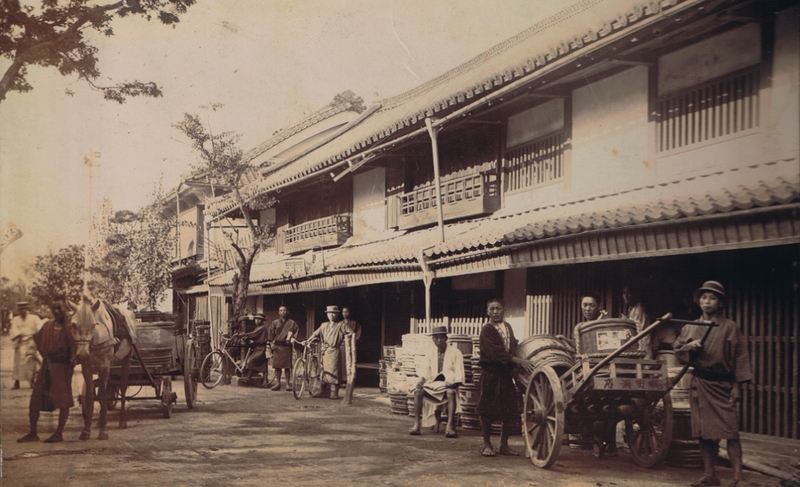 After that, the family ran businesses as a tobacco production merchant, pot and kettle merchant, koji shop, soy sauce shop etc. Around Meiji 17 (around 1884), 8th generation, Yosanji, who was running a soy sauce brewery discovered a mummy of a mysterious dragon in the salt which he bought. 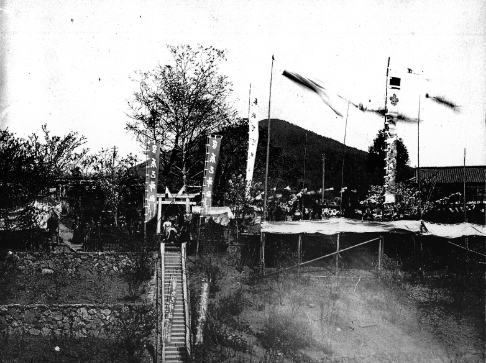 He took this as a good-luck sign and in Meiji 23 (around 1890) built a shrine (hokoro) in the premises and worshiped the mummy dragon, and honored it as the “Tatsumi Shrine”, reaching today. Tatsumi soy sauce’s name is derived from this Ryujin and continues to protect the company’s soul and natural manufacturing technology for over a hundred years, from generation to generation. What is inherited in the genealogy of manufacturing or food production? 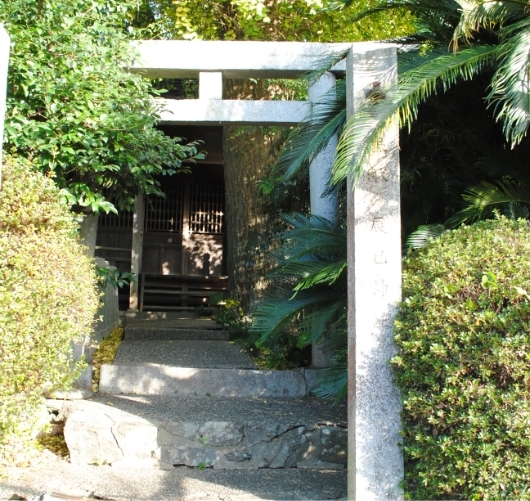 Not to mention the traditional manufacturing or production techniques from the past, but the tradition of the KAJITA family… we feel it is our “tongue”. We continue to protect and inherit the taste, born from dealing with living yeast in the warehouse for over a hundred years, which can only be confirmed by our “tongue”. 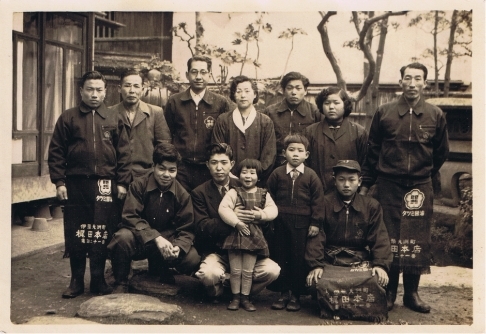 8th generation, Yosanji KAJITA began the soy sauce brewing business here, in “Nakamura, Ozu city, Ehime prefecture”. 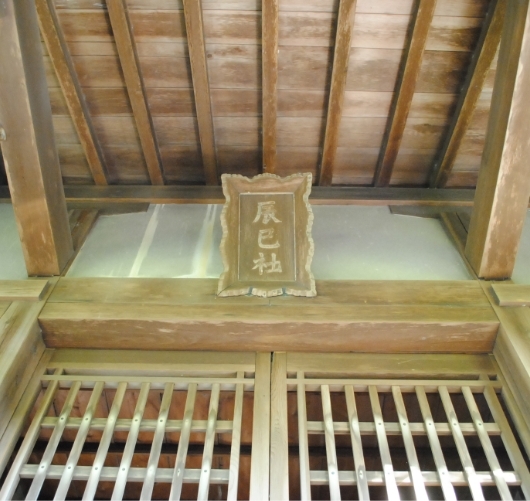 It is written in the Ozu city “Fudoki” (description of culture, geography etc. 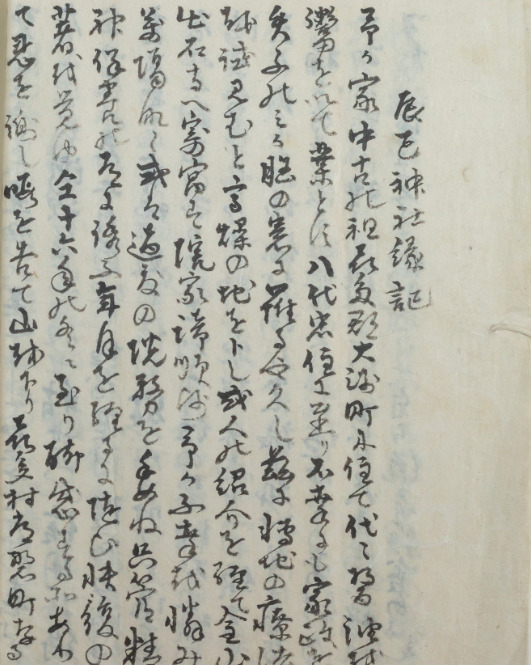 of a province) that the family established the soy sauce brewing business in 1874 (Meiji 7), however, there remains a phrase in Yosanji’s diary written around 1889 which states “running the soy sauce business for generations”. Therefore, it is thought that in fact, the soy sauce business was established much earlier. 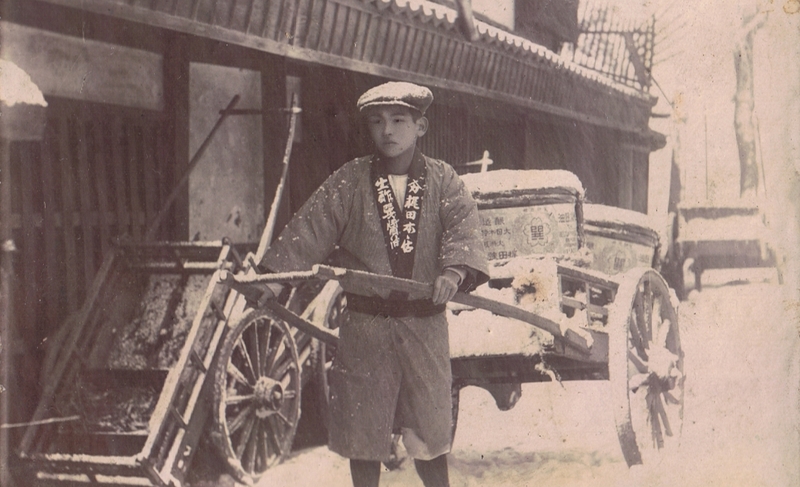 8th Generation, Yosanji, consolidated business in the soy sauce brewing industry here, in Nakamura, Ozu city. A mummy of a dragon was found in the salt that Yosanji bought, took this as a good-luck sign and built the Tatsumi Shrine in the premises. Held a memorial service. 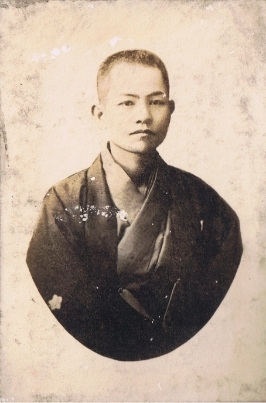 Founder of Ehime Railway, appointed as Managing Director after the company was established. Board of Director, Kita Bank Ltd.
Company established – Partnership company, Kajita Shoten, was established as a soy sauce, miso, vinegar manufacturer. Changed company name to Kajita Shoten Co., Ltd.